Designed with both entertainment and aesthetics in mind, this beautiful pool and spa combination by A1 Pools makes good use of a small space. The unique design features a custom interior made from a special blend of plaster and black quartz, as well as underwater LED lights and gas heating. The pool’s rear wall and the corner of the spa have been built above-ground to accommodate the land’s natural slope, keeping the outdoor area level with the rest of the home. Equipped with a state-of-the-art filtration system, the pool is fitted with a salt chlorinator that has a built-in timer that automatically switches the system on and off, keeping the pool chemically balanced. Founded by Vic and Sophie Rapoff, A1 Pools will be celebrating its 40th year of operation in 2017. The company constructs approximately 120 pools per year, ensuring each project is cpmpleted with the utmost professionalism. 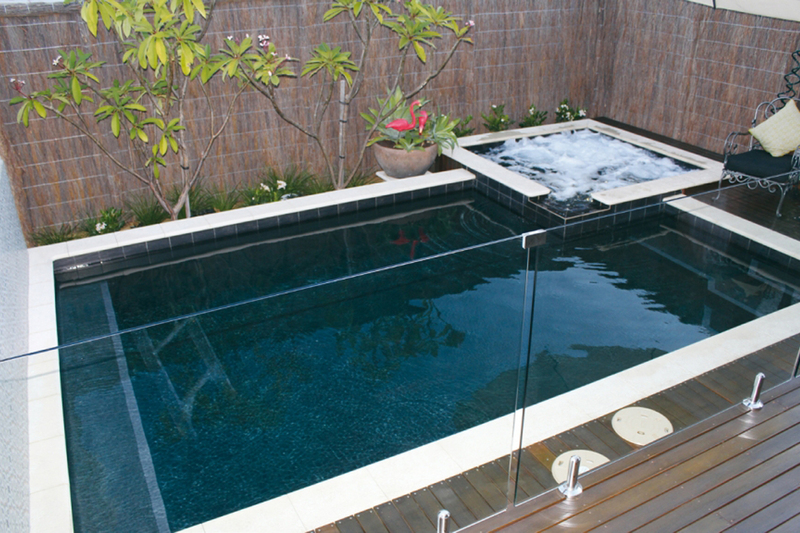 A1 Pools specialises in custom concrete pools and spas for both residential and commercial properties. The company mainly services metropolitan Perth, but will travel as far south as Margaret River to accommodate clients’ needs. A1 Pools is a family-owned and -operated business that has won multiple awards at the annual Swimming Pool and Spa Association (SPASA) awards of excellence. The company strives to ensure its clients’ needs are met and all work undertaken is completed to the highest possible standard.